Converting any media on your Mac at top speed! Movavi Video Converter for Mac is one of the fastest and most error-free ways to export your video, photo, and audio files to any desired format. 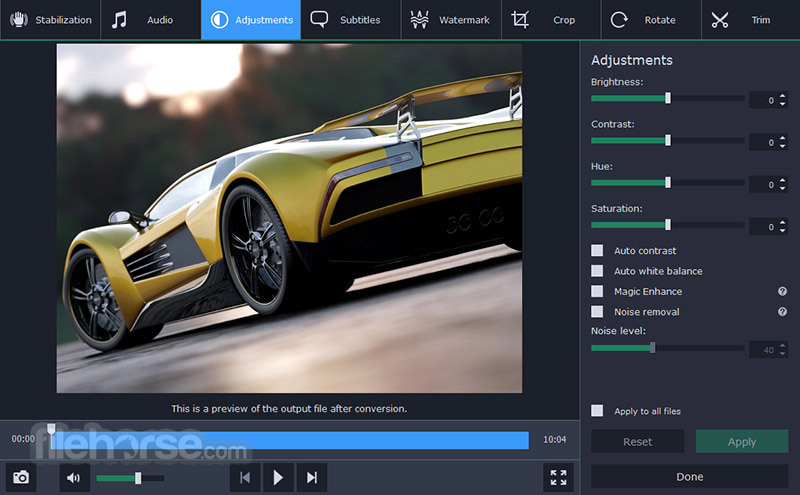 Download this bestselling conversion software and experience your multimedia collections without format limitations! Enjoy video and music your way! With Movavi Video Converter for Mac, you can prepare your multimedia files for instant playback in any format and on any device. And you don’t need to be a geek to do it: just select the format or device you want from the vast list of supported options and hit one button – your files will be ready in seconds. Plus you get a huge range of exciting extras: enhance video quality, adjust and normalize sound levels, trim, merge, crop, and rotate files before you convert – all through our trademark user-friendly interface that’s so easy to master! Choose the exact format you need: the program supports all current video, audio, and image formats and codecs. Enjoy one-click conversion of media files for 200+ mobile devices using our handy ready-made presets. 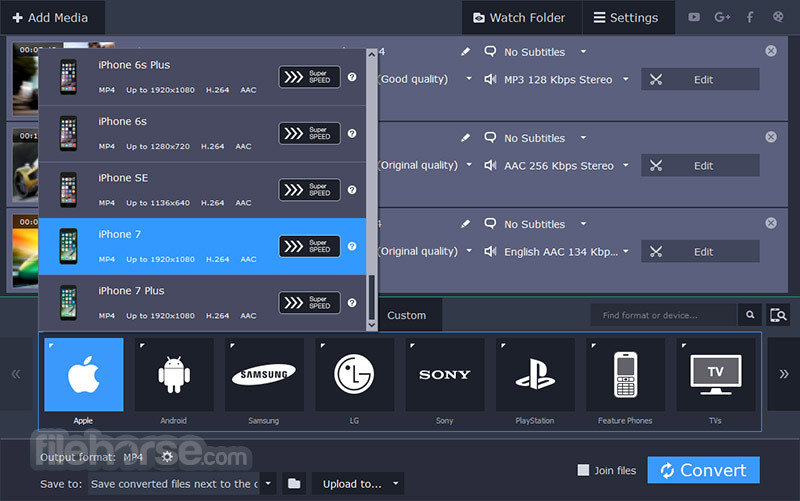 Prepare your video for uploading to video hosting sites and social networks quickly, easily – and automatically. Movavi’s Video File Converter is Simply Faster! Set sound parameters – decrease or increase volume level, eliminate noise, normalize "quiet" videos with one click. Note: 7 days trial version. Only half of a file is converted and watermark on the output.